ETA: C'mon people, help me convince the fella we need to go to this! Anyone else having a surprisingly good Friday so far? My car has been fixed for the grand total of $0.00! Plus, I was the only person in my department that didn't have software issues/had to argue with IT for two hours. Also, I forgot I got overtime pay on my paycheck today! 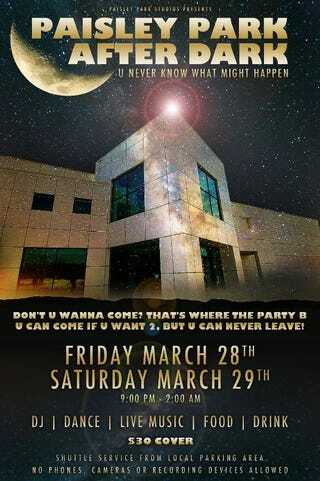 Looking forward to finally not stressing out, planning my party, and really really trying hard to convince the fella we should go to Paisley Park tonight. What's a highlight of your day?